When we think of nutrition, or examine our eating habits, it’s easy to say you’ll start eating healthier. All you have to do is say to yourself, “from now on, I’ll just eat healthy, simple as that.” After purchasing a grocery cart full of kale, bananas, and whole-grain goods, things seem fine for a day or two. Then after a few neglectful weeks, you’re throwing away all the fruits and veggies that you were supposed to eat that have now gone bad. It’s easy to say we’ll eat healthy, but it can be hard to follow through on that promise. Fiber is a type of carbohydrate found only in plant foods. Fruits (such as apples and bananas), vegetables, psyllium husk, whole grain bread, cereals, legumes (such as kidney beans, chickpeas, and lentils), and nuts are particularly rich in fiber. High-fiber foods can help the body regulate blood sugar. As fiber fills you up quickly, it can curb appetite and aid in weight control. In addition, fiber itself contains zero calories. Protein plays a critical role in the body’s physiological processes—such as growth and cellular repair. Protein is generally known to benefit the body. However, nutritionists warn that animal protein can harm the body. On the other hand, plant foods can be excellent protein and calcium powerhouses. Beans and legumes are rich in easy-to-digest plant proteins that are low in fat and high in fiber. Making the conscious switch to incorporate a few of these foods in place of animal proteins can make a difference in the long run. Although plants contain many nutrients required by the immune system, there is no particular plant that can accommodate all of our nutritional needs. 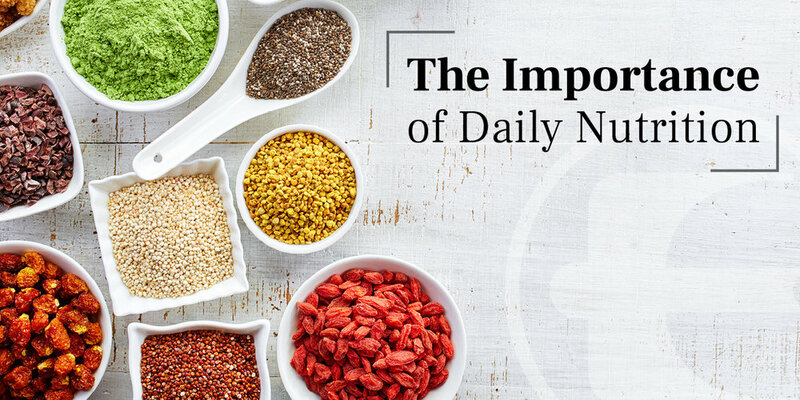 Therefore, scientists suggest that we should consume 10-15 different kinds of plant foods daily for an optimal supply of nutrients. Our bodies can produce some of the vitamins that we need, but these are by no means enough for daily bodily functions. That means that vitamins and other nutrients must be obtained from a balanced diet. Switching to a mindset that includes more whole foods and fewer processed ones takes time and commitment. One easy way to become more successful along your daily nutrition path is to plan ahead. Start by packing your breakfast and lunch the day before so you can visually check that you’re incorporating a variety of fruits and vegetables into your diet. For dinner, make sure your plate has plenty of colorful plant-based foods and not too much meat, cheese, or other animal products. If you find that while you’re planning out your daily meals you’re falling short, try incorporating beneficial products that might help fill the gaps. Since there are a wide variety of whole-food, plant-based products that are convenient and easy-to-carry, you should have no trouble finding the ones that are right for you. No matter what, never give up on your goal to live a healthier, more balanced life!